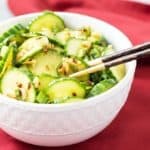 Today I’m sharing with you this amazingly easy, healthy and delicious recipe for Thai Cucumber Salad. 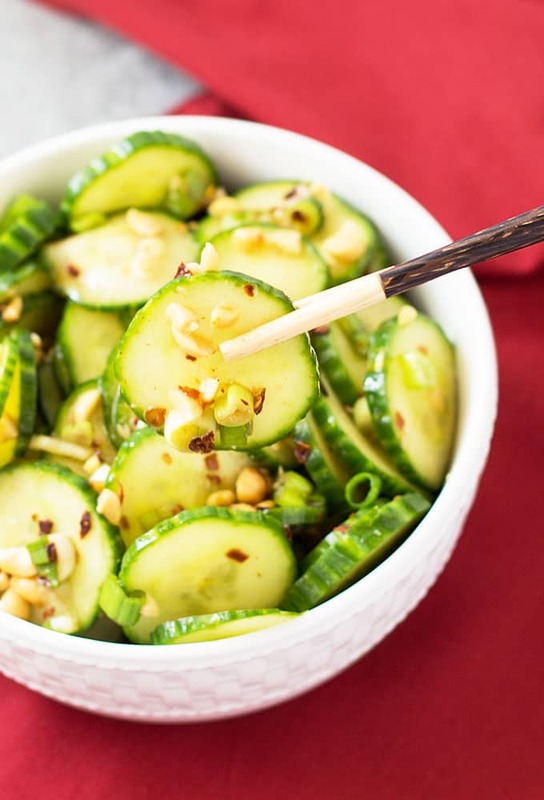 I think cucumbers are perhaps one of my favorite vegetables. I’ve eaten them so many ways, but never with Thai ingredients until recently. This crisp cucumber salad is sweet and sour with a hint of heat… I love it! 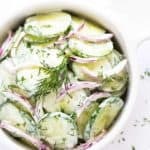 If you love cucumbers like I do and are looking for a change from ordinary cucumber salads, this is your recipe! 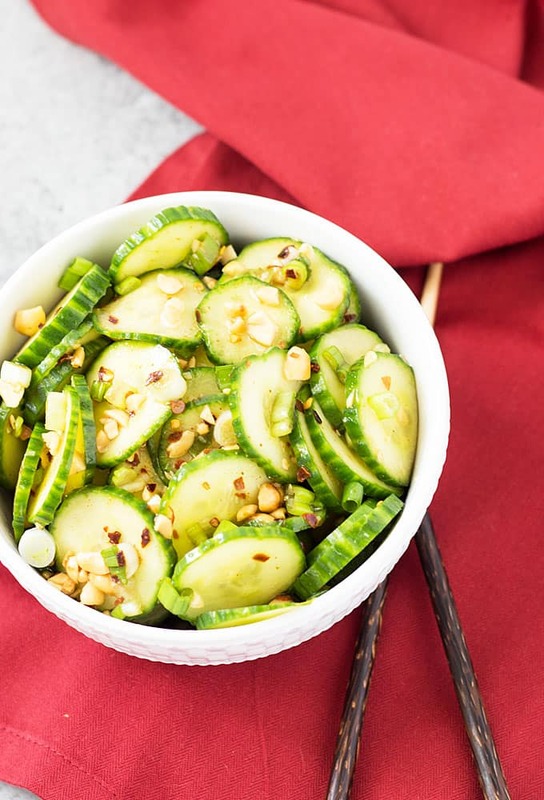 Crunchy peanuts, rice vinegar, sesame oil, honey, green onions and crushed red pepper flakes taste SO GOOD with sliced cucumbers! 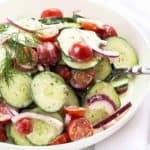 I hope you enjoy this salad as much as I did – it’s one of my new summertime cucumber recipe favorites! 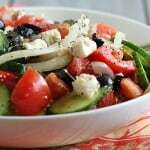 Whisk dressing ingredients together in a small bowl until well incorporated, set aside. 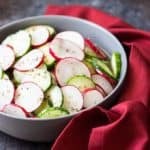 In a medium bowl, add salad ingredients and gently toss to combine. 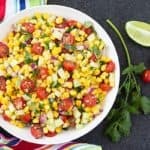 Drizzle with dressing and serve immediately.